Christian homeschoolers looking for a good Bible curriculum have many options. Here I will share my top two picks -- Discover 4 Yourself Inductive Bible Studies series and Eagles Wings Products -- for Bible lessons that are already planned out and easy to use. Then I will share some links to more Bible materials -- retail and freebies. Sure, to study the Bible, you can simply read the Bible, discuss what it means, add some copywork, some Bible notebooking and scripture memorization. But having a pre-planned curriculum is a convenient time saver, especially for those seasons when life is chaotic. A workbook medium is also good for moving intermediate learners into more independence with their studies. The Discover 4 Yourself Bible study series for children is an easy pick. There are many titles to choose from including how to study the Bible, prayer, Old Testament characters, and New Testament books. The books are a created in a consumable, workbook format. You could extend the use to multiple children by having them write their answers on paper or by photocopying some of the written activities, but the design is for the book to be used by one child one time. If your child is an independent reader, he can do these workbooks on his own. So I would suggest these books for grades four through middle school. The Discover 4 Yourself Bible series does a good job teaching children techniques for Bible study that they can apply to their own future studies. There is a strong emphasis on reading the Bible passages and marking key words, phrases, or concepts. Special pages in the back of the book are provided just for these marking exercises, so there is no need to mark up your own Bible. The books are divided into easily manageable daily lessons that take only a few minutes to complete. My daughter enjoyed doing these workbooks when she was in fourth and fifth grades. I highly recommend them. This is my own review of this curriculum. These two volumes are classified as history curriculums, but they include a lot of Biblical history. I added Remembering God's Awesome Acts to our ancient history study. I was very impressed with the depth and scope of the material. In fact, because of the quality of this curriculum, I would recommend this for children no younger than sixth grade. It would work well for 7th grade through high school. Because of the layout of the workbooks, all of Eagle's Wings materials work well with Bible notebooking. This history workbook covers from creation up to Ancient Egypt from a decidedly Biblical viewpoint. The reproducible pages work very well with a notebooking approach. You can read my detailed review of Remembering God's Awesome Acts at The Curriculum Choice. Read another review at the same blog by Cindy West. This is the second history volume that takes up where Remembering God's Awesome Acts leaves off. It begins with Moses leading the Israelites out of Egypt and moves on to the forty years of wandering, taking the Promised land, the judges, and the Kingdom. Celebrating Our Messiah in the Festivals is considered a strict Bible Curriculum. Through a study of the festivals of the Old Testament, this curriculum teaches about Jesus Christ. Read an indepth review at Eclectic Homeschool Online. Below are additional resources, some free and some for purchase. I have not actually used any of these. (I have used the two types above.) However, I do consider these quality options that I may use at some time. The links below are for material that is designed mainly for a weekly Sunday School setting. Of course, the materials can easily be adapted for a homeschool setting. Over 800 free printable Bible lessons, made in a Sunday School format. Studies based on books of the Bible as well as character traits. Topics include prayer, Bible translation, and missions/geography lessons. Bible materials for ages five through adult. The Grapevine studies use sketching stick figures to learn the stories of the Bible. Bible studies in workbook format. I thumbed through these at a homeschool convention. The large workbooks are straightforward -- read a passage and answer questions. This material includes various ages as well as multi-age curriculum and even a backyard Bible club study. This website is a part of Desiring God, John Piper's ministry. How Do You Teach Bible in Your Homeschool? A mixture of resources, including purchased curriculum. We get Bible at church and don't study it at home. We don't study the Bible at all. My kids are actively involved in AWANAs at church. The program has a lot of work that needs to be done at home (especially for highschool level), so we use this as our Bible curriculum. 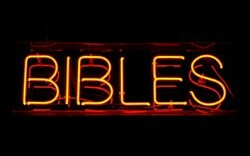 We also have Bible as a part of our other subjects since we choose a lot of Christian curriculum. Thank you for these resources. They look good. Celebrating Our Messiah in the Festivals looks very interested. A very nicely presented set of resources. As a Humanist I won't be teaching Christianity to my kids, but I'll make sure they know about the Bible as it's so important in a historical and cultural context. We studied the Bible in many different ways, mostly by reading through it. But we also did Remembering God's Awesome Acts - an excellent study. 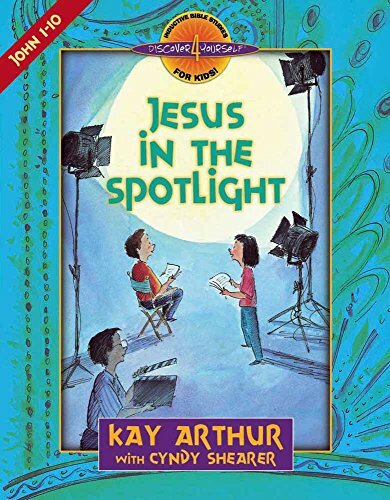 I love Kay Arthur; I'll have to check out her series for kids. Around here my kids love Grapevine! These are excellent resource materials. It's wonderful to have access to so many rich programs. We don't study the bible, but if we did this page would be a wonderful resource. Passing this on to a friend who homeschools 4. Teach grammar and mechanics in the context of real language with every day edits -- daily editing and proofreading activities.